WASHINGTON, D.C. – (RealEstateRama) — 601 mobile homes and travel trailers provided by FEMA are now occupied by Hurricane Florence survivors across North Carolina. The 571 households currently occupying these units total 1,608 people. 8,632 households have been approved for a FEMA direct housing unit in the 13 counties ruled eligible for such help. Households receiving direct housing assistance from FEMA need to provide FEMA with a permanent housing plan in order to remain eligible. A permanent housing plan is a requirement to stay in one of FEMA’s housing assistance programs. It demonstrates that recipients are moving forward in their recovery and provides a timeline for moving into a more long-term solution. Permanent housing plans will look different depending on where the recipient lived before the disaster, and answers key questions about their living situation before the disaster, now, and in the future. Renters may be trying to find a new rental property. Their verifiable plan could be finding available units online, calling about properties, and looking at available units. If they have found a place to rent, renters should say when they plan to move in. Some renters may be waiting for their landlord to repair the unit they rented before the disaster, and some may have continued to pay rent during repairs so the landlord will hold the unit. In either case, they should know when the landlord expects the unit to be ready and include that in their plan. 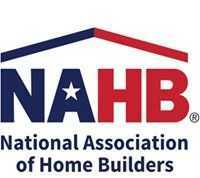 Homeowners may be planning to repair and rebuild. If so, their plan should include whether they have talked to their contractor, contractor information, funding source and also the timeline for repairs. Some homeowners may be planning to leave their current residence and move to a new home. In this case, their plan should include real estate agent contact information and closing information if available. Some homeowners may decide to rent instead of own. If so, like renters they should indicate whether they are looking at apartments, and if they have signed a lease. 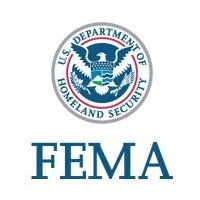 FEMA meets regularly with survivors in direct housing units to ensure they are complying with their license agreement. During these visits FEMA recertifies applicants for continued use of the housing unit. People living in temporary direct housing are required by their license agreement to develop an achievable permanent housing plan. FEMA can help them create a permanent housing plan and track their progress. For more information, they should contact their case advisor or call the FEMA helpline at 800-621-3362.